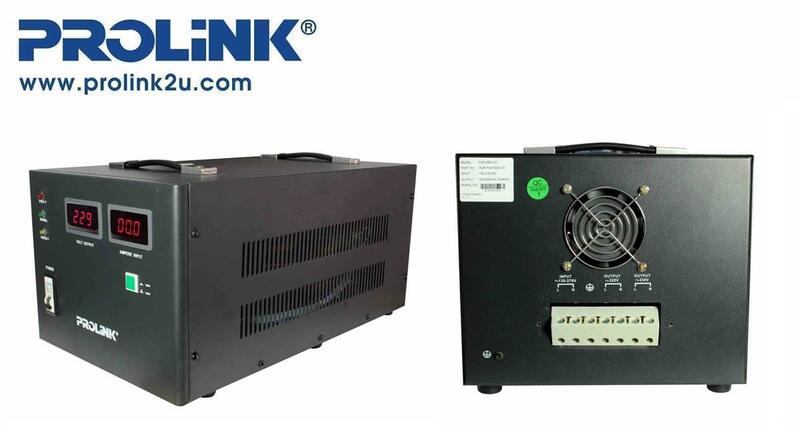 PROLiNK PVS series voltage stabilizer consists of voltage regulator, sampling control circuit and servo motor to provide more stabilised output to the connected loads.It has excellent features such as small waveform distortion, faster response time and higher durability for different types of applications. PROLiNK Official Store only accepts NetPay because of the protection and security of customer. By using NetPay, we can confidently provide customers with a reliable and secure online checkout experience which is just few simple clicks and steps. This an PROLiNK Official Store so that Original product packaging is intact, the commodity and its standard accessories, gifts (if any), manual (if any), packing list, warranty certificate (if any), receipt and invoice (if any) are all complete. 1. All official items are quoted in Malaysia Ringgit (RM), postage fee is excluded. 4. Full refunds guarantee in case out of stock. 6. All items are thoroughly inspected before delivery. We will fully responsible if the product(s) damaged on arrival due to delivery mishandling. Please report to us via email within 48 hours from the time of package arriving. Any report after 48 hours shall not be entertained. 7. We will ship out your item within 3 working days. 9. By placing an order with us, you agree to be bound by the Terms and Conditions. The following terms and conditions apply to PROLiNK brand of products marketed and distributed by Fida Systems (M) Sdn Bhd, which are purchased and used in Malaysia by the original purchaser. Warranty periods quoted are intended as a guide only and variations may occur within these product groups. Should you have problems with any of the above, you can contact our Customer Service and Technical Support at (603) 8023 9151 who will be happy to help. Please have your full PROLiNK model number and serial number, date of purchase and a brief description of the fault/query when contacting our service team. The oriiginal dated sales receipt must be retained by the customer and is the only acceptable proof of purchase. It must be presented to the service center. Warranty begins on the original date of purchase, and is valid on products purchased and used in Malaysia only. Fida Systems (M) Sdn Bhd (hereon known as the Company) warrants PROLiNK's products to be free from defects in material and workmanship for the period specified. Warranty applies from the date of purchase by the first customer and is transferable only between end-users. Fida Systems (M) Sdn Bhd will, at its sole discretion, repair or replace the product with a similar product. The replacement unit will be covered by the balance of the time remaining on the customer's original limited warranty. 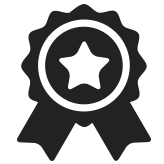 Fida Systems (M) Sdn Bhd provides no warranty for any third-party software or accessories included or bundled with the product or installed by the customer. Product item which is "Dead On Arrival" (DOA) and missing or short of any parts or components MUST be exchanged with the service centre COMPLETE with the full packaging and original dated sales receipt WITHIN 7 DAYS from the date of purchase. Any other requests after 7 days will not be entertained. Accident in transit, misuse or improper application, wrong or inadequate electrical current or connection, negligence, fire, water, lightning, or other acts of nature. Unauthorized product modification, or failure to follow instructions supplied with the product. Using under inappropriate on site condition (operating condition may refer to User Manual). Loss of data, profits or goodwill, damage and destruction of any data, programmes, equipment or other properties, cost of recovering, reprogramming or reproducing any data, programmes or equipment. Repair or attempted repair by anyone not authorized by Fida Systems (M) Sdn Bhd. 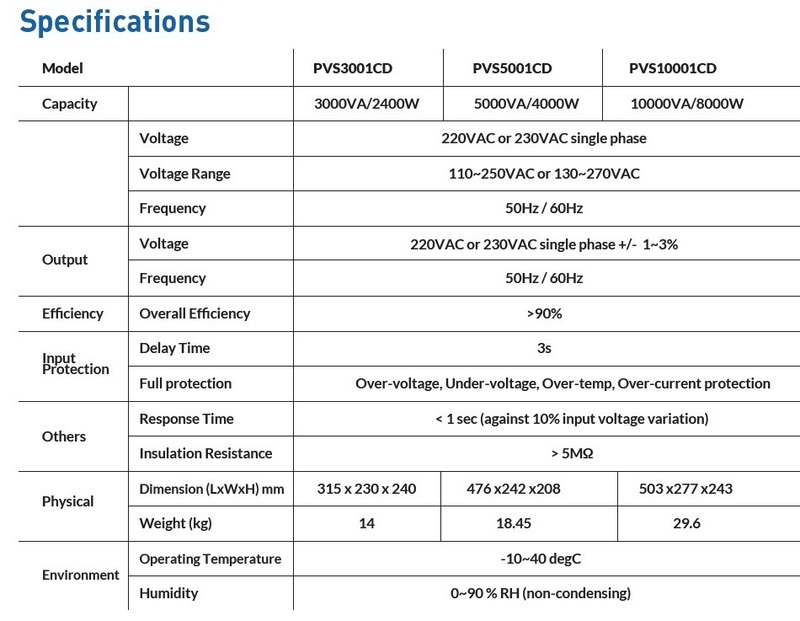 Use of supplies or parts not meeting Fida Systems (M) Sdn Bhd specifications. Damage to, or abuse of the coating on the surface of the display. Personal loss, injury or any other damages. Removal, installation and set-up service charges. On-site warranty unless otherwise stated. If there is no original dated sales receipt accompanied with the product which is sent into the Service Centre for any repair. Charges will be incurred accordingly to the customer for parts replacement and servicing. Fida Systems (M) Sdn Bhd shall not be liable for any damages of any kind resulting from the purchase, use, or misuse of, or inability to use the product or arising directly or indirectly from the use or loss of use of the product or from the breach of the express warranty, including incidental, special, consequential or similar damages, or loss of anticipated profits or benefits, or for damages arising from any tort (including negligence or gross negligence) or fault committed by Fida Systems (M) Sdn Bhd, its agents or employees, or for any breach of contract or for any claim brought against purchaser by any other party. Warranty terms and conditions may vary from country to country, so the above limitations or exclusions may not apply to you. This agreement is the whole and entire agreement between the purchaser and Fida Systems (M) Sdn Bhd and supersedes any prior or different agreements and shall be governed by the Malaysia laws.